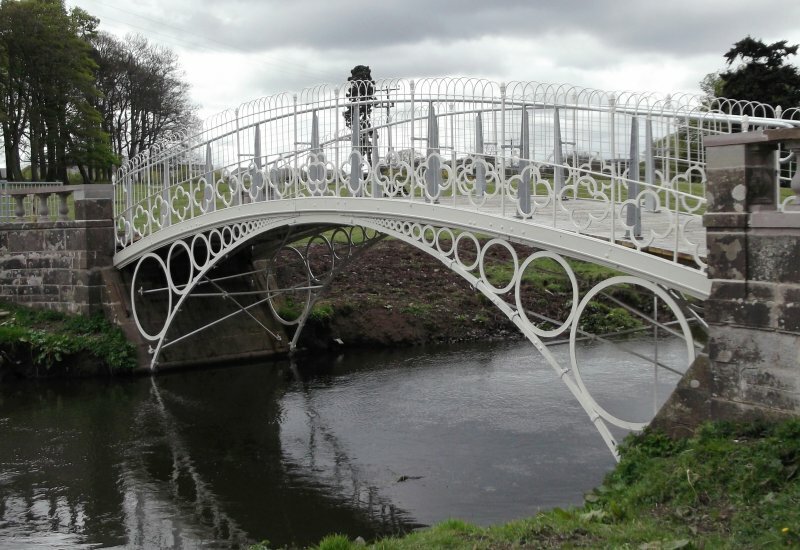 The bridge spans approximately 14m across the Dichty Burn and is constructed of wrought and cast ion with parapets of plan quaterfoils and delicate fencing with acorn finials. The segmental arches, with spandrels of plain concentric circles, diminish in size towards the crown. The bridge's abutments are of ashlar sandstone topped with stone balusters. 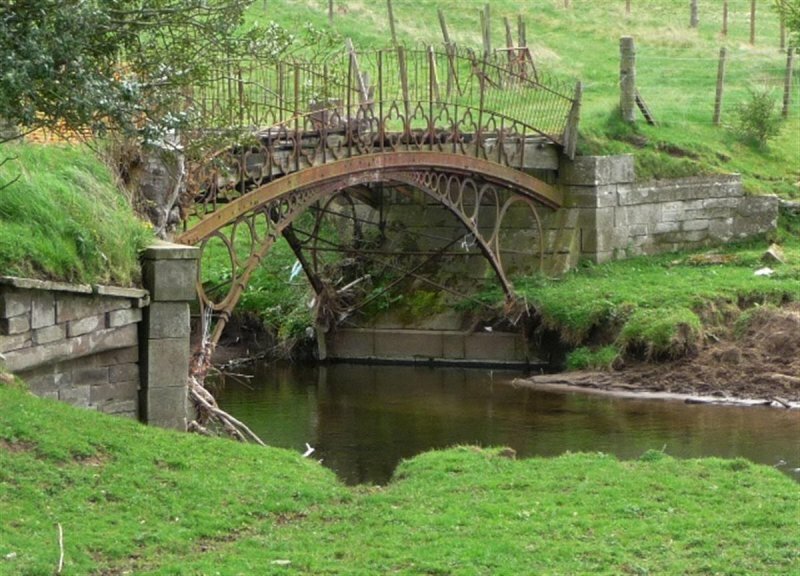 A combination of age, lack of maintenance and vandalism had meant the bridge's condition had deteriorated to the point of being closed to public access around 2000. Dundee Civic Trust highlighted the poor condition of the bridge to the City Council in 2004, who, sharing the Trust's concerns, engaged the City Engineers Division to explore a restoration project in 2005. 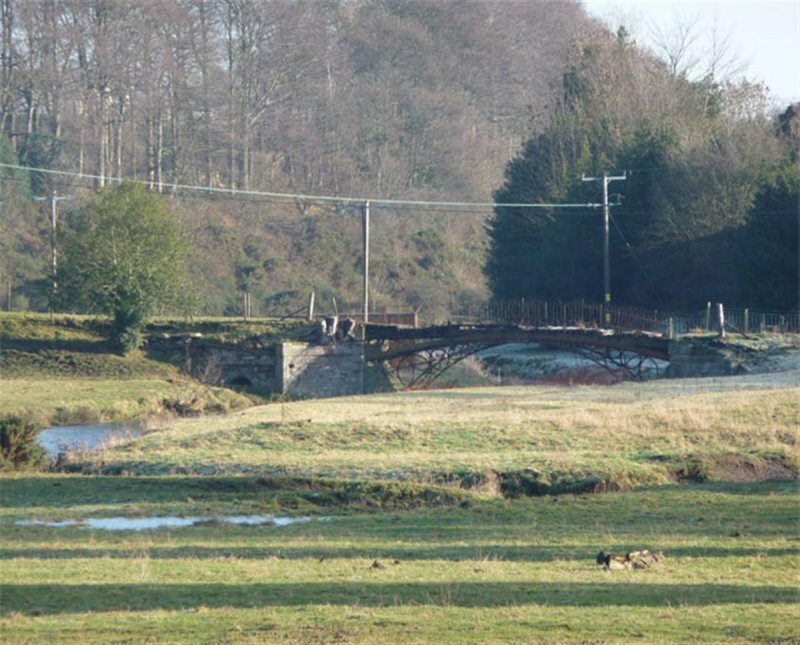 At planning consent stage for a new housing development near to the bridge - Ferryfields - Miller Homes agreed to provide £380,000 towards restoration works for the bridge. 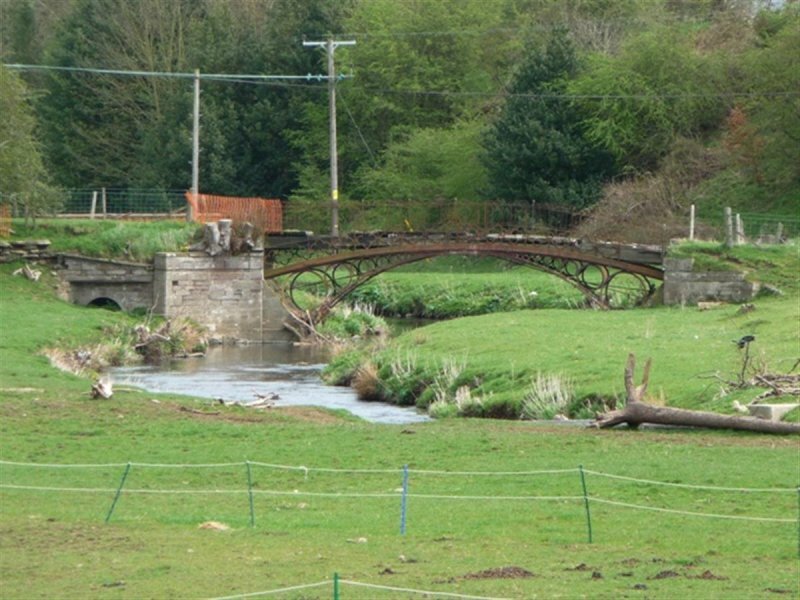 Once agreement had been been negociated with the bridge's owner, vegetation was cleared away as a first step to allow laser scanning of the structure. 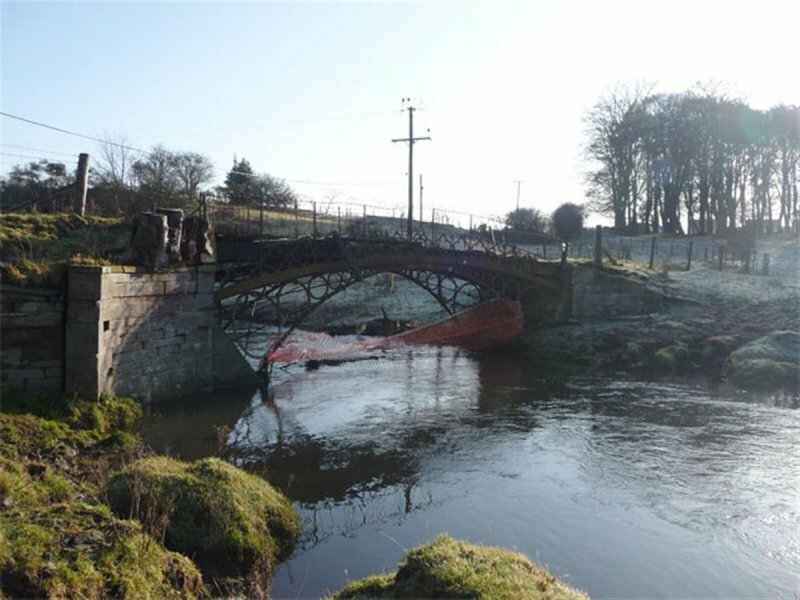 This provided the Council with both 2D and 3D modelling of the structure as part of the structural assessment towards a detailed scheme of repair and restoration. Much of the restoration work was completed off-site. 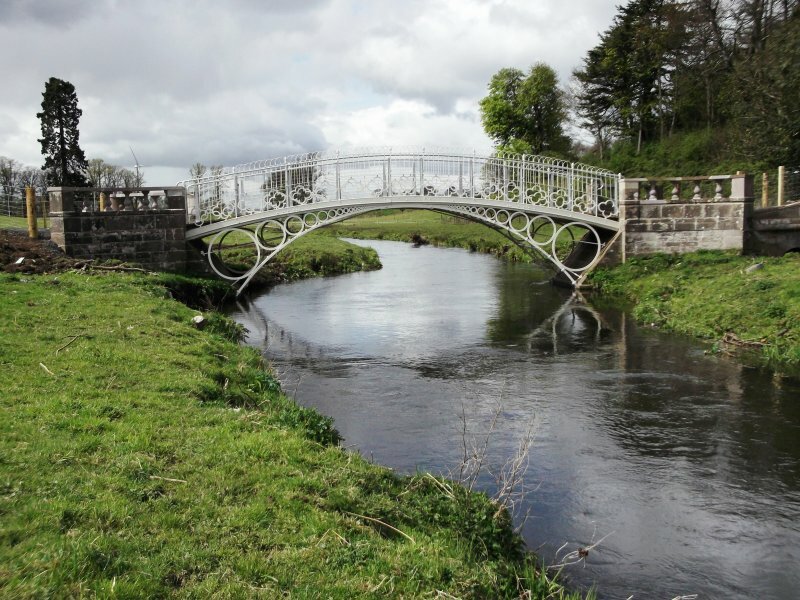 Conservation of existing ironwork was completed where possible and new crown castings where sections were not repairable. 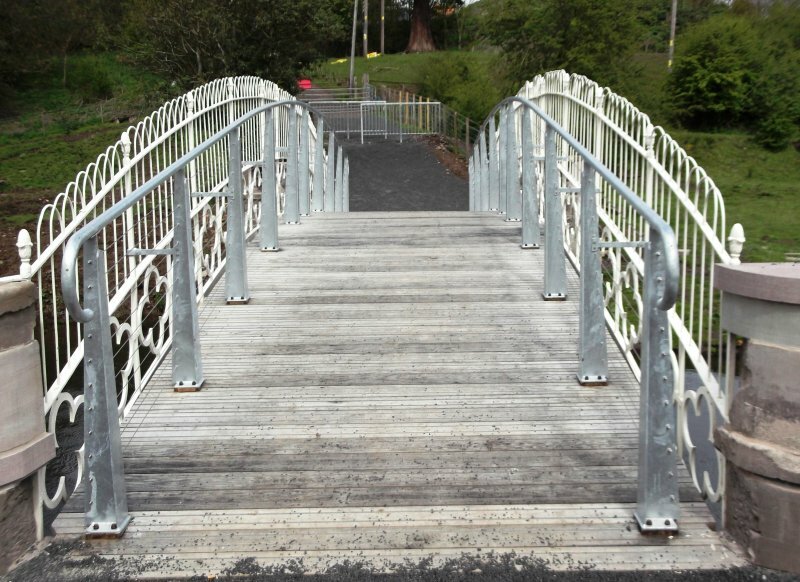 A new steel and timber deck was constructed to replace the unsymapathically set timber sleeper deck, not thought to be contemporary with the ironwork. The existing stone abutments were conserved with matched stonework were elements had been lost through vandalism. The approach paths were also regraded and reconstructed. 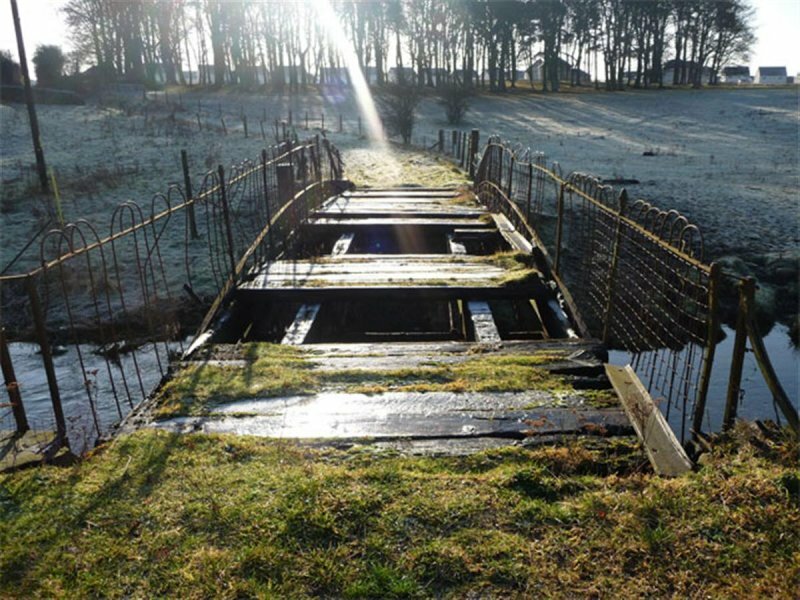 Having been carefully restored the bridge is now open to public access - pedestrian and cyclists - forming part of the North East Countryside Core Path within Dundee, providing access to the City's countryside and into neighbouring Angus. 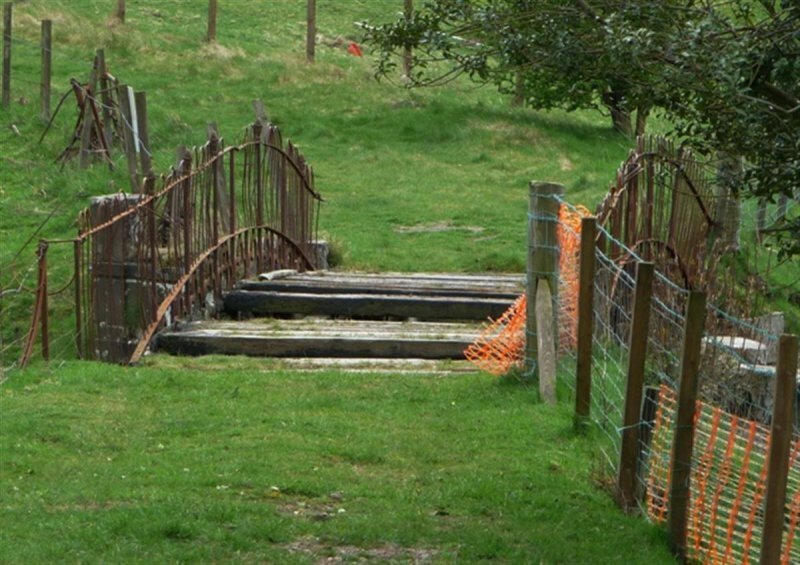 The brigde also provides valuable footpath access to the two housing developments in the immediate vicinity.